(CNS):A review of the Defamation Law, the Succession Law, the Wills Law and the Interpretation Law, as well as codification of the duties and responsibilities of company directors and a review of the law regulating enforcement of foreign judgments are just some of the issues the newly appointed Law Reform Commission will be tackling over the coming months. Attorney General Samuel Bulgin welcomed the new chair of the Law Reform Commission, Ian Paget-Brown, earlier this month to replace Langston Sibblies QC, who has served six years as chairman. Paget-Brown, an attorney with 43 years experience, has been a member of the commission for the last five year. Also joining the commission is the legal department’s Vicki Ellis, who is currently acting as solicitor general in the wake of the changes at the legal department, which saw the former SG Cheryl Richards take up the post of Director of Public Prosecutions. Ellis has been a counsel with the CIG legal department for a number of years. She is joined by Kenneth Farrow QC of Mourant, an attorney for 45 years who has been practising in the Cayman Islands for the past 12. Farrow has had a wide and varied career and has, during his more than 30 years practice in the UK, sat as an Assistant Recorder and Recorder trying both civil and criminal cases and was one of the Bar Representatives on the Legal Aid Board between 1988 and 1992. 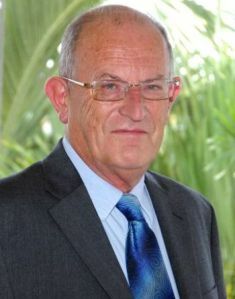 He has also contributed to the Cayman Islands’ chapter in Sweet & Maxwell’s Special Report on Cross-Frontier Insolvency of Insurance Companies (2001). The commission has also said farewell to Justice Andrew Jones, who had served as a member since its establishment. The new commission now comprises Ian Paget-Brown, chairman, DPP Cheryll Richards QC, Eileen Nervik, ASG Vicki Ellis, Kenneth Farrow QC.